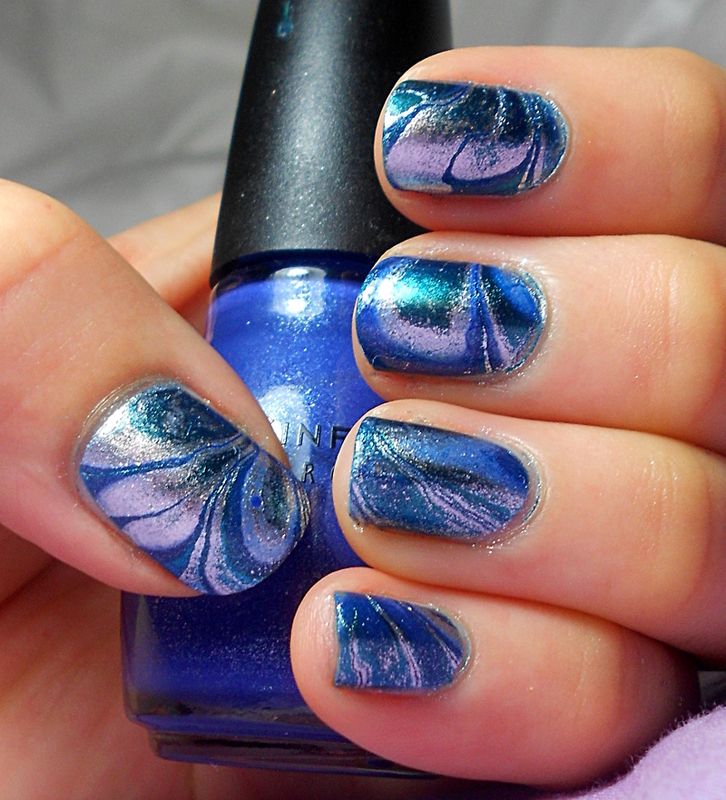 I have another water marble for you today. I am sure you’ve noticed that I’ve been loving the water marbles lately, and this one is no exception. This one was a major winner with Mr Boyfriend too. He is usually a fan of water marbles and he liked the colour combination on this one too. 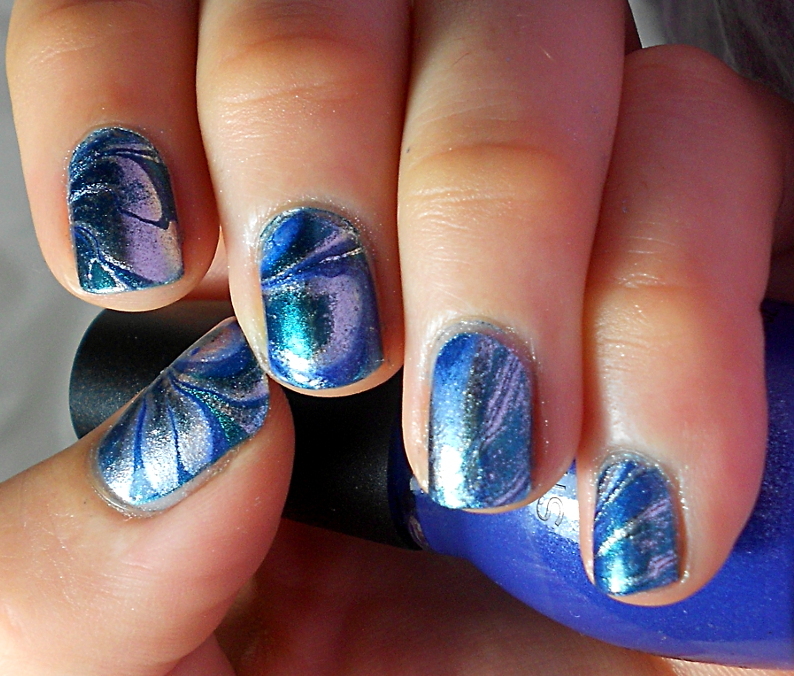 Over a base of Sally Hansen White On, I marbled with Sinful Colors Neptune, Tip Top Nail Chic Armourplate, and Sally Hansen Lustre Shine Scarab. After I marbled with Sally Hansen Lustre Shine in Lava a couple of weeks ago (here), I was keen to try another marble with another of the lustre shine colours. 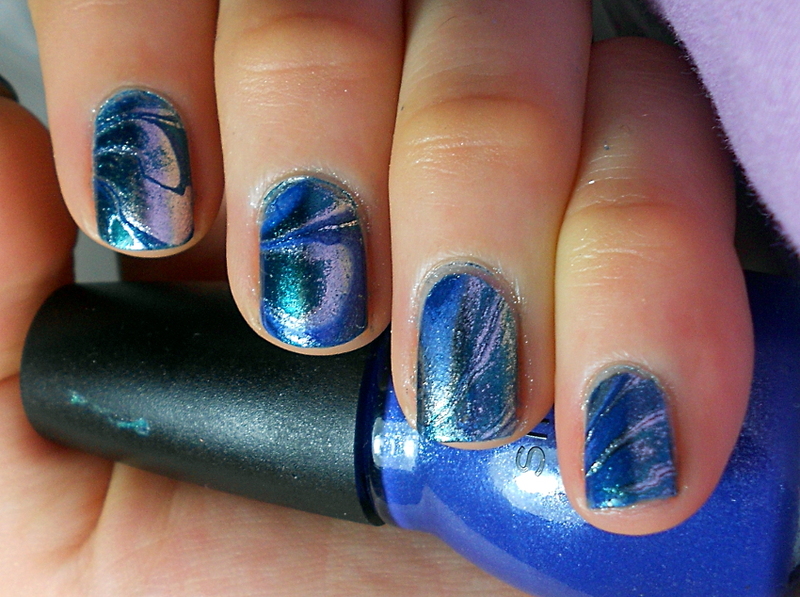 They work great and I love the shimmer they have – especially in the sun! 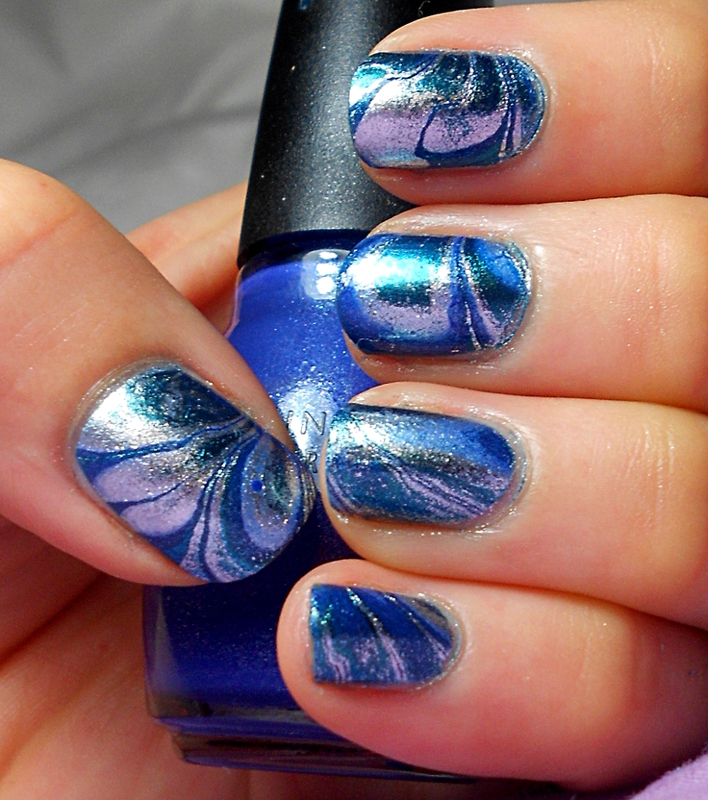 I especially like the pattern on my thumb, ring and middle fingers with this one. 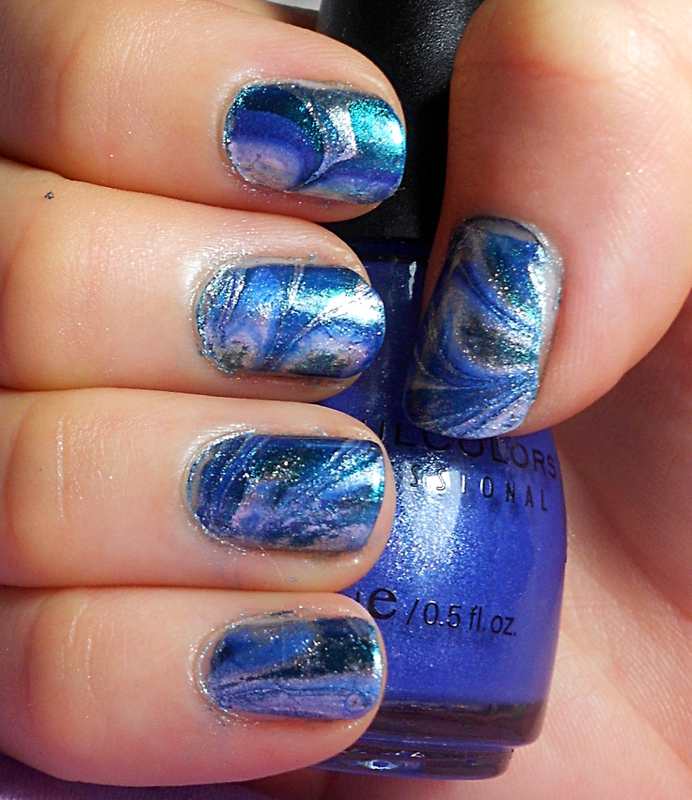 My ring finger and pinkie came out a little streaky looking, but I still like them thanks to the colours 🙂 As usual with a water marble, I am going to show you my right hand too, but you will just have to excuse the lousy clean-up. I preferred my left hand this time, but hey, I liked them both! I really like blue and silver together. I hope you enjoyed these too!